As the first fully automatic liquid unit dose packaging machine for the healthcare industry, the Speedy Wet Cadet® lives up to its name with a maximum speed of 32 units per minute. Pharmacies want to focus on serving their patients, not packaging, and the Speedy Wet Cadet® lets you do just that. The efficient Baxter RepeaterTM Pump is simple to use and automates routine procedures such as reconstitution, transfer, filling and pooling. Dispensed in volumes between 1 and 35 mL, oral liquid medication can be packaged in two different cup sizes: 24 and 42 mL and are available in four color options: tan, blue, red and clear. Ideal for hospitals with more than 50 beds, the Speedy Wet Cadet® includes a fingerprint reader, pill camera, linear barcode scanner and Euclid® Vantage™ Software with purchase. Other accessories such as a 2D barcode scanner and complete system package can be purchased separately. Cost savings: Save money by packaging bulk medication instead of purchasing pre-packed unit doses from the manufacturer. Use our cost savings calculator* to see exactly how much money you can save using Euclid® machines instead of manual dose. Patient safety: Automatic Tallman lettering helps distinguish similarly-named drugs. Other safety measures include the sterile stainless steel tabletop and pill camera for visual verification. Improve operational efficiency: Sensor monitoring system prevents outage and rethreading. 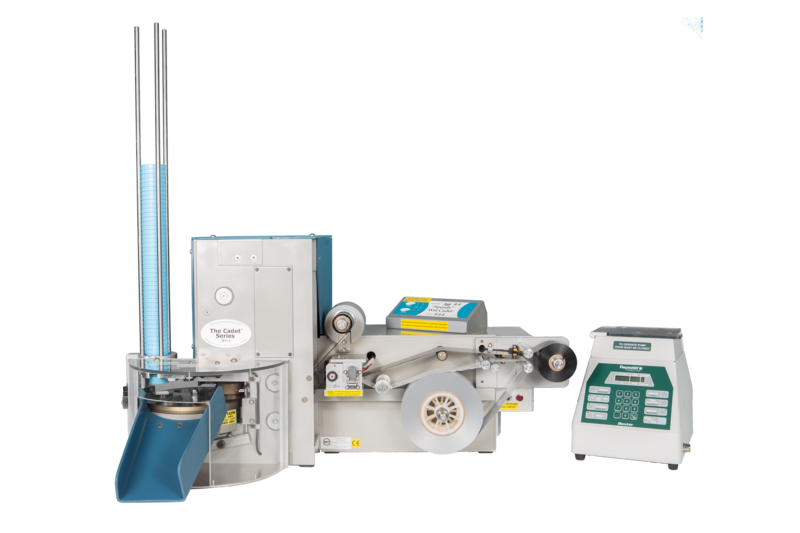 Optional programmable auto cutoff feature eliminates the need to manually tear packages.